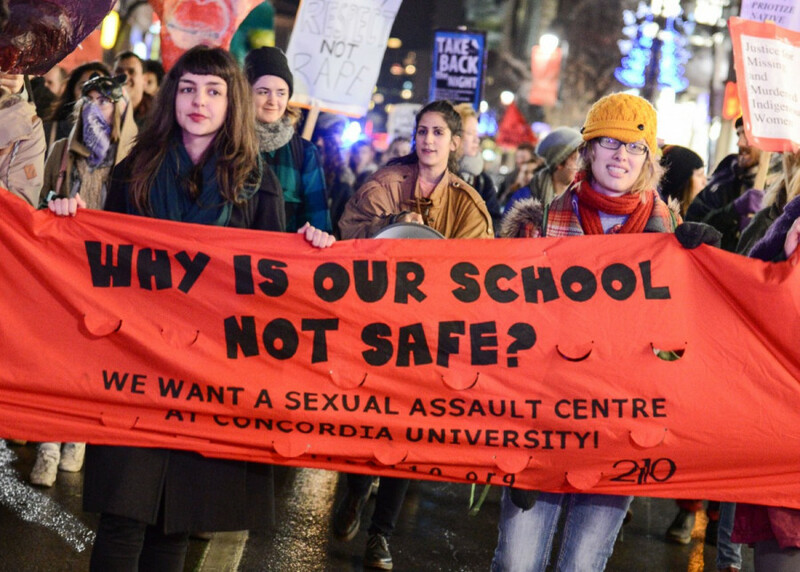 Concordia protesters march during Take Back the Night, Nov. 23, 2012. Archive Keith Race. Concordia warned students that invitations promising professional developments may be dangerous, and sent out an alert Monday evening calling the invitations fake. “These invitations resulted in reported drugging and sexual assault,” said the email, sent to students from Lisa Ostiguy, Deputy Provost, and Roger Côté, Vice President Services. “Montreal police have been informed and are investigating,” the email continued. Concordia spokesperson Mary-Jo Barr wouldn’t say the exact number of those affected, but said it was less than five. She said the alert was delayed for a number of days because the university was still in the process of communicating with those affected and the police. Because of confidentiality reasons, Barr couldn’t specify if the messages were coming from an individual profile, website, or a Facebook page, and wouldn’t say what locations the reported events took place. The university is reminding students to stay vigilant, and says anyone with information about the situation should call Concordia’s Security Department at 514-848-3717, extension 1. Those who may have been affected can also talk with Concordia’s Sexual Assault Resource Centre at 514-848-2424, extension 3353. This article will be updated as more information comes in.